The Association Spirit Member Award (SMA) is given annually to a current MAFG/SCP member who best exemplifies the spirit of what it is to be a Foster Grandparent or Senior Companion team member. 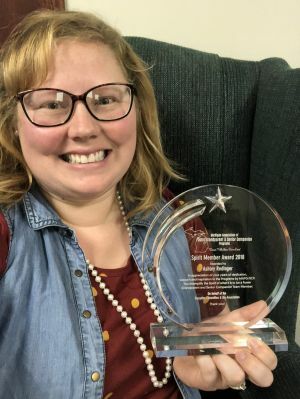 This award highlights the hard work and effort that our members do on a daily basis, many times unheralded, and as a body we want to publically acknowledge the work that they do for the older adult population in their community and agency. The award is open to ALL current members which shall be nominated by a peer/co-worker. Nominations will be reviewed and final award winner will be selected by the current Executive Committee. The Executive Committee will review all nominee questionnaires for a wide variety of qualities such as commitment, accomplishments and vision, to name a few, to select the member who best demonstrates the overall commitment to the people we serve, their agency and the association. The award is given once a year, usually at the fall retreat, with the nominating process opened approximately 60 days before the retreat. At the end of the 45 days the nominating process will be closed and the Executive Committee will begin the review process. Each nomination will be thoroughly reviewed by the elected Executive Committee members of the MAFG/SCP. The final decision of the committee will be presented to the award winner at the annual fall retreat. Award winners are not eligible for consideration for the award for one year after wining the award. Current Executive Committee members are not eligible for the award while serving. 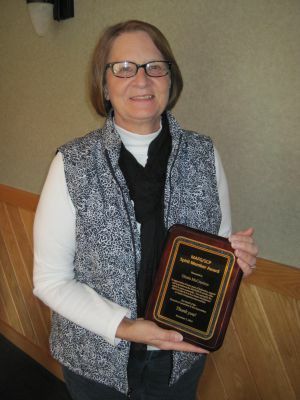 The Rita Katzman award is a special award, much like a lifetime achievement award, given to past or present members who have served for at least 5 years and other criteria as well. The SMA does not replace this award but rather compliments the award on a more regular basis acknowledging those individuals that do incredible things without much fanfare.